Fort St. John, British Columbia, Canada is located on the banks of North America's longest river system (the Mackenzie-Peace Rivers) , as well as, on the historical driving route known as the Alaska Highway. The community of Fort St. John is a commercial and industrial centre for the region. 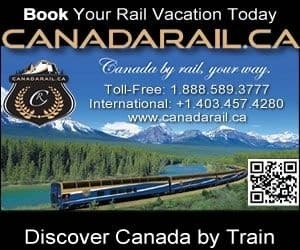 Activities and attractions most enjoyed in and around Fort St. John and the surrounding areas includes golfing, hiking, biking, horseback riding, off roading, cycling, day touring, canoeing, wildlife watching, birding (birdwatching), swimming, and xc skiing, ice fishing, and snowshoeing. A few of the more popular activity and sightseeing destinations located in and around Fort St. John, British Columbia includes the Fish Creek Park, Centennial Park, Charlie Lake and Beatton Park. The most visited natural sightseeing attractions, historical sites and cultural venues in and around Fort St. John British Columbia includes the North Peace Cultural Centre, Fort St. John North Peace Museum, Heritage Kiosk Walking Tour and the Alaska Highway. Travel services and amenities important to travelers in and around Fort St. John British Columbia includes accommodations (fly in fishing lodges, outfitter camps, motels, bed and breakfasts, vacation homes, resorts, cottages, cabins), campgrounds, tours, guides, restaurants, laundromat, coffee shops, grocery stores, pubs, liquor stores, gas stations, gift stores, big box stores, and transportation services including taxi, bus, marina, floatplanes and the Fort St. John Regional Airport. eh! Plan to Visit Fort St. John, BC today.